Greetings! 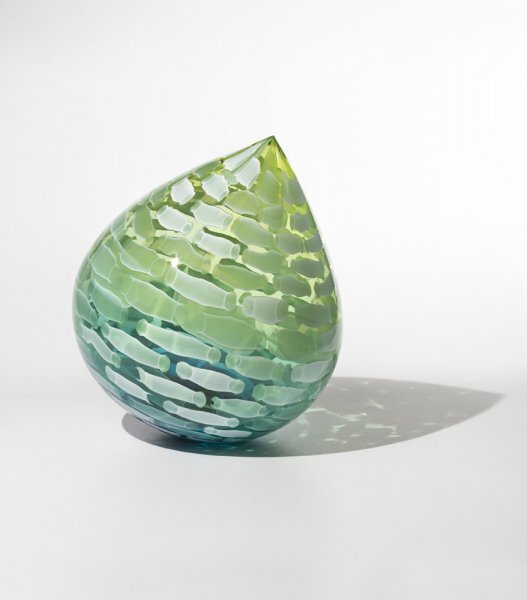 This month I’m pleased to introduce the work of Seattle glass artist Ross Richmond. In addition, I have selected works from several of my favorite artists to share with you. I look forward to your questions and comments. "The object isn’t to make art, it’s to be in that wonderful state which makes art inevitable." I first met Ross Richmond many years ago on a visit to Pilchuck School near Seattle. At that time Ross was part of the glassblowing team that William Morris had assembled to help him create his complex sculptures. 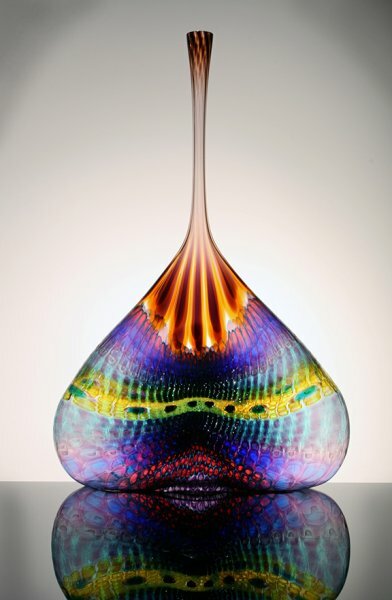 Several members of that team have become well respected glass artists in their own right. 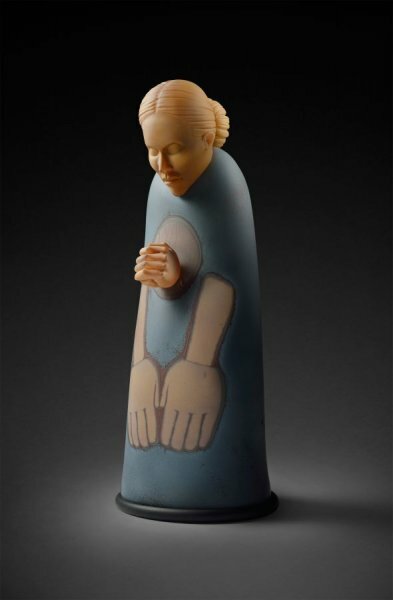 Ross’s work focuses mainly on the human figure, often capturing a moment of reflection or a symbolic gesture. 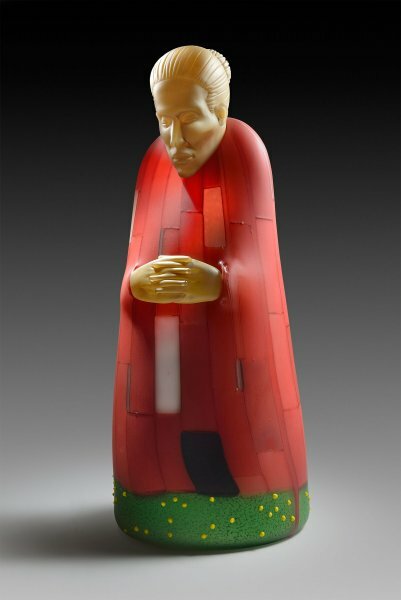 He continues to live and work in the Seattle area and has work in many major collections. I’m excited to share a few of his pieces here and you can see others at this link. Lino’s "Angel Tear" series has always been one of my favorites and this example of that series is no exception. The palette of blue, red and gold is classic Lino as are the use of several different styles of surface engraving. 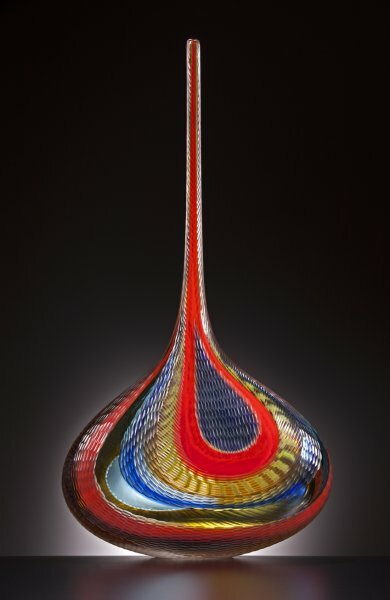 This cast glass piece of Santa Fe artist Harry Pollitt has an amazing fluidity. 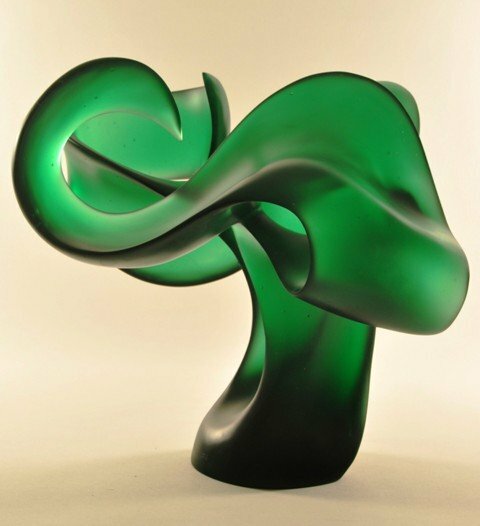 The use of negative space contributes to the organic sculptural statement and the single color of emerald green is stunning. What a wonderful piece by Nancy Callan! I love the subtle combination of various shades of green as well as the playful shape. The deliberate tilt of the sculpture makes the overall effect much more impactful. I have chosen an older piece by Stephen Powell for this newsletter because I have always loved this series. 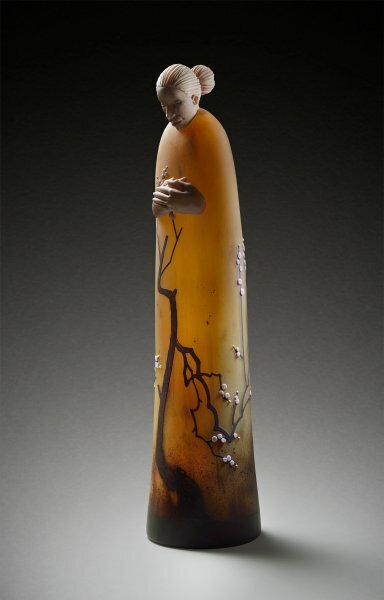 This glass sculpture is sensuous and dramatic. The unusual combination of colors might not have worked in the hands of a less skilled and creative artist but here there is just enough edge to make this a truly exceptional piece. Lino Tagliapietra, Master of a Glass Renaissance, Morristown Museum, through 6-18-17.